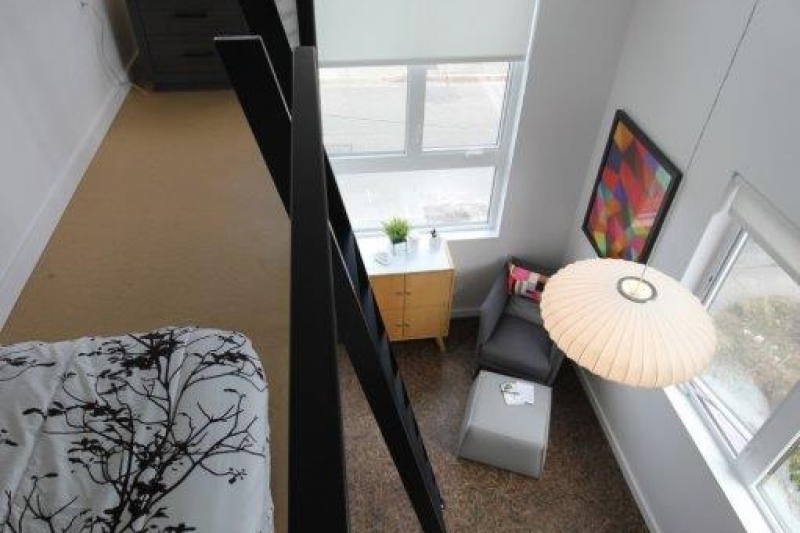 Most of our units are double height lofts, with the bedroom lifted up to provide a clear space at the main level for a work area or living room furnishings. 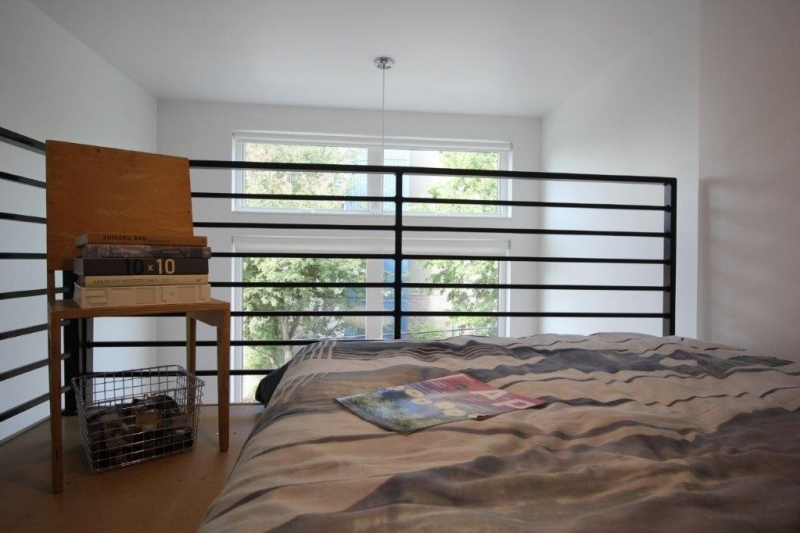 The loft units feature thoughtful built-in amenities, unique custom finishes, and generous natural light and ventilation. 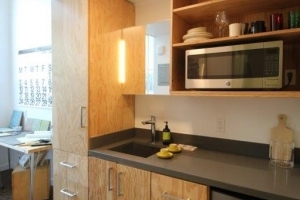 Each unit has a private bathroom, a built-in wardrobe, and a kitchenette with a compact refrigerator, sink, and microwave. The cabinets were built out of fir plywood by a local cabinetmaker on Vashon Island. The flooring was custom-made using photographs of cedar fronds that we collected from Al Larkins Park in Madrona..
Just off the main building entry is a large common area containing a kitchen, dining table, laundry, mail room, TV lounge and a meeting space. 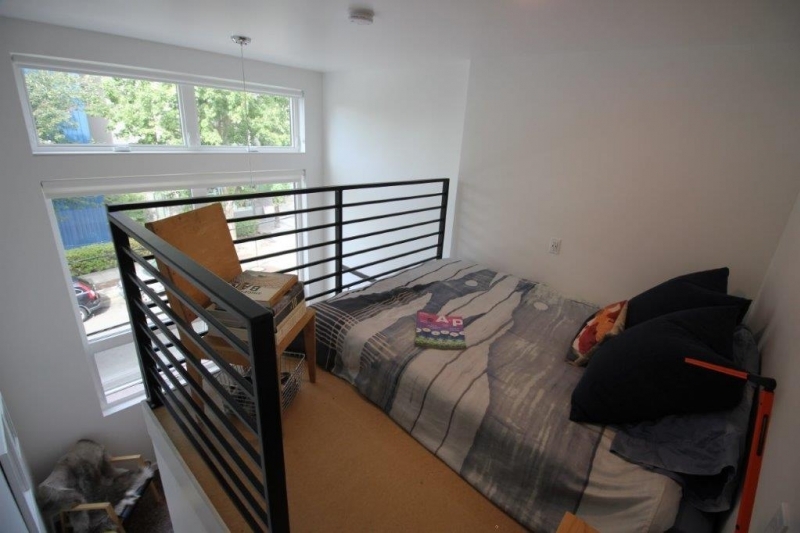 The common room is a public counterpoint to the smaller, private units. It provides a community center for gatherings, casual meetups, movie nights, weekend dinners, and more. Smaller common kitchens on both the 2nd and 3rd floors provide tenants with some additional food preparation areas convenient to their rooms. These features create more opportunities for chance encounters among neighbors as part of the day-to-day living experience. The building also has a large commercial space on the first floor We have reserved this space for an arts non-profit, furnishing the non-profit with a long-term home while also providing our tenants with services and/or cultural resources for artists and people in creative fields. 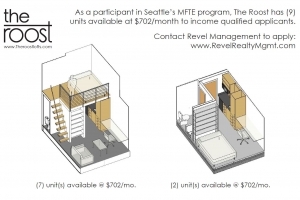 Nine of the units are available via the MFTE program to individuals with annual incomes of less than $28,100. 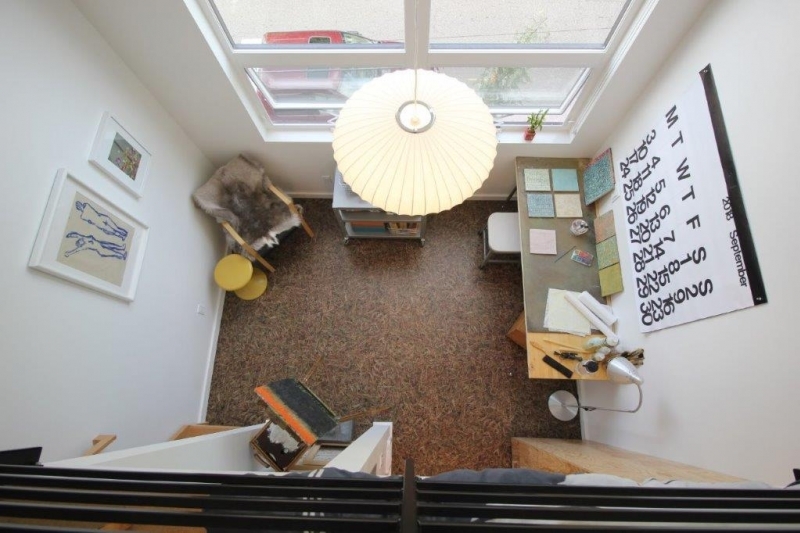 The Roost is an innovative new micro housing development designed from the ground up as affordable market rate housing aimed at supporting and strengthening Seattle’s arts community. The Roost is a unique project, unlike anything we have ever designed before. 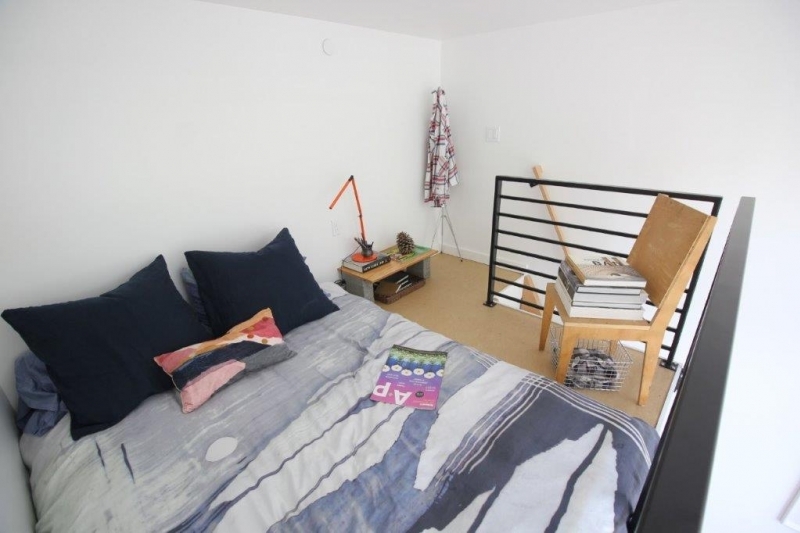 Most of the units are double height spaces with a small bed loft, freeing up room on the main level for work space or living room furnishings. 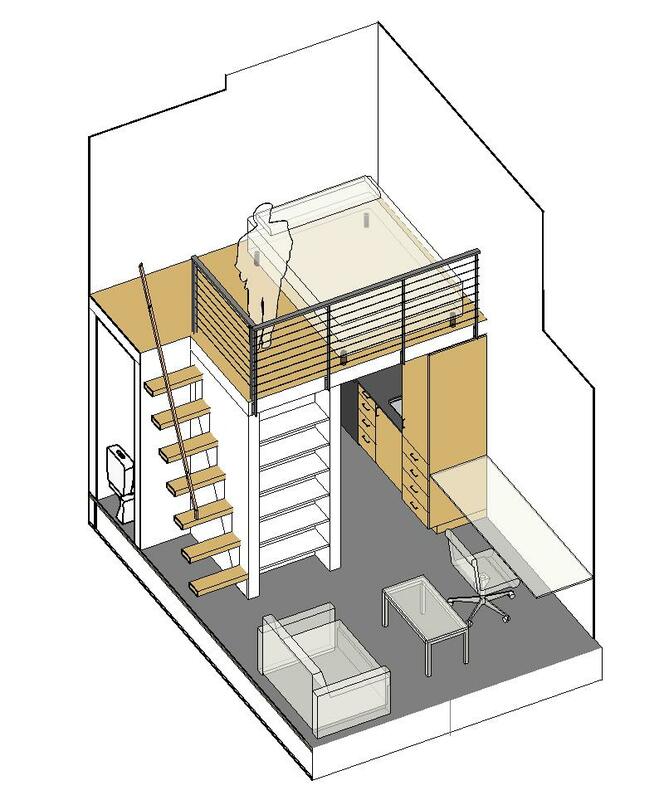 They function more like one-bedroom apartments than micro-units. Nine of the units are set aside as income and rent restricted units, available to qualified applicants at rents significantly below market rate. The building also has a large commercial space on the first floor . 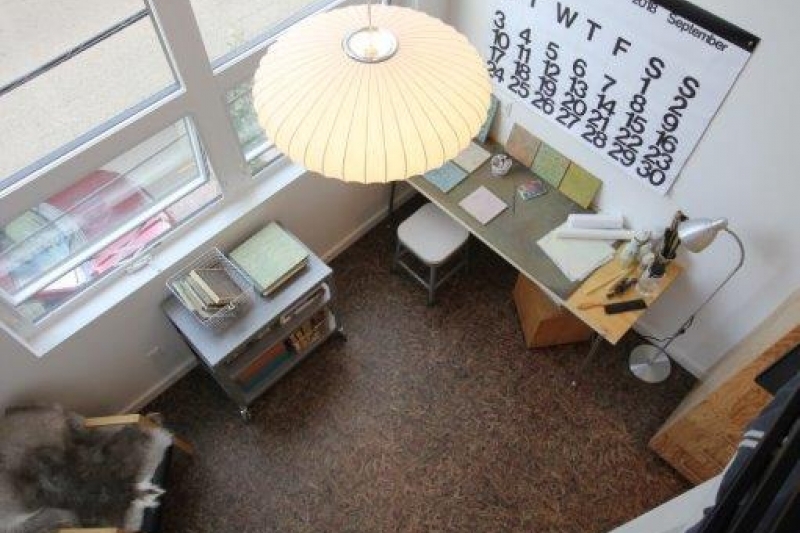 We have reserved this space for an arts non-profit, furnishing the non-profit with a long-term home while also providing our tenants with services and/or cultural resources for artists and people in creative fields. The building has exterior security cameras at all entrances as well as interior cameras in the main common spaces.